Recently, a dear friend and I found ourselves in a multilayered conversation around family dynamics, money, actions, and outbursts. As we both contributed stories and experiences from our upbringings, we found ourselves feeling frustrated and misunderstood, and even dismissed at different points in our lives. As my friend was sharing a very specific situation, about a cousin that took advantage of her generosity and kindness, I started to reflect on my learning from a book I recently read, The Shadow Effect: Illuminating the Hidden Power of Your True Self by Deepak Chopra , Marianne Williamson, and Debbie Ford. What I have learned through various mediums and experiences is that people, whom I refer to as humans, are often confused and not sure what they need to be doing during their lifetime here on Earth. Sure, many get educated, married and find a job or establish their career, but what I am referring to is the bigger meaning of life. What I often see, is that many humans overshadow their spiritual wisdom by allowing their ego to manage their lives. This has many forms, but the most obvious are the noticeable behaviors that strive for external metrics, such as love, money, titles and zip codes. Their actions to achieve these societal success may support undesirable behaviors igniting frustration, anger and unnecessary energy in others. These individuals, with intentions to fill their own voids, can easily frustrate and sometimes violate us. As you interact with these humans, it is helpful to remember that your path is not their path. You can choose to move away, provide guidance or eject yourself from their actions. Keep in mind, we do not know why or how things are manifesting for them but we can always choose how we participate and respond. What I have learned as I am working to create a more loving and accepting self, is that many of these humans do not intend to hurt others but their desire for love and light is often overshadowed by doubt, fear and a need to belong. When we examine humans whose soul’s light often does not have an outlet, we often find that their choices have concealed the source of light that illuminates from our souls. With this, these humans spend much of their lives bumping around with little direction or guidance as they have lost their spiritual compass that is fueled by the light of soul. When you are created in the human form, you come with a soul that is connected with a higher purpose filled with light and love. I refer to this as the light of your soul or source light. The way I see it is that many of these humans that I am referring to here, have essentially lost their spiritual compass here on Earth. Their soul’s light is camouflaging their spiritual compass which confuses the human and misguides their actions. This happens to many of us and it takes a diligent effort to realign with our soul’s light to gain insights and connection back to the source. Once we have strengthened our connection, it may be part of our mission to remind, guide and inspire other humans to dig deep, meditate to quiet the mind enough to realign with their source light. This process could take some humans less than an hour and other a lifetime but when it happened, it will give them the illumination to rediscover their spiritual compass to find their way home. If you interact with someone who sparks something other than love and light, before you dismiss them or jump to frustration, anger or disengagement, I encourage you to visualize them as a child that has lost their way. When you view their actions with this altered interpretation , a lost child, you may be able to be more empathic in your response and engagement. In a seashell, as I love the beach! Many humans have overshadowed their soul’s light that illuminates their spiritual compass. 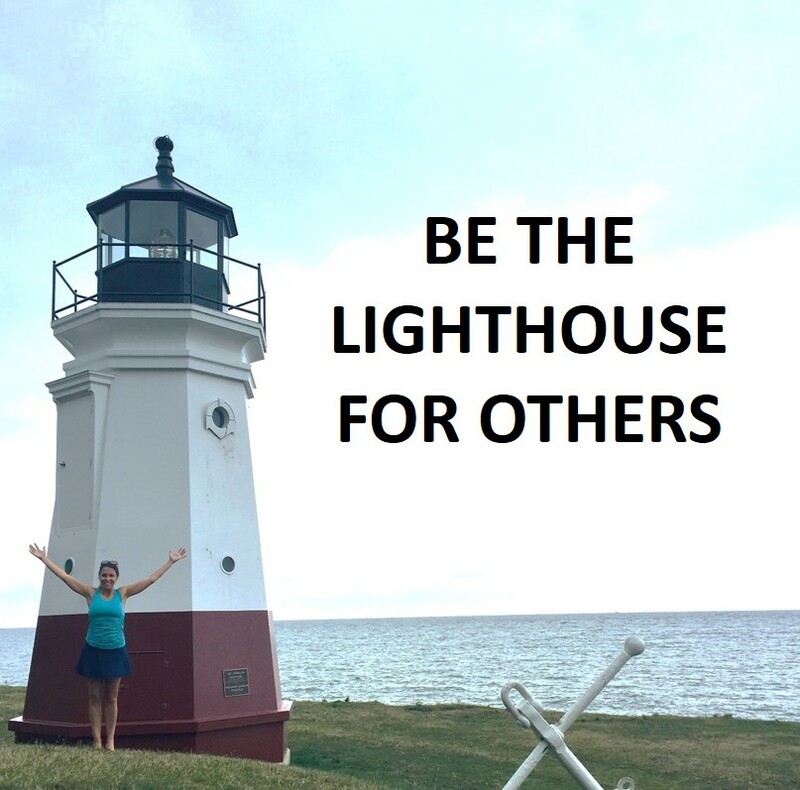 More than ever, humans need love and light from each other which is why it is important for us to be a lighthouse for each other, guiding humans back to their internal source of light, their soul’s light. Our light and love could be the catalyst to shine through the darkness that is overshadowing the spiritual compasses of others, hindering their ability to illuminate their path. Looking to Be a Bit More Open Minded?